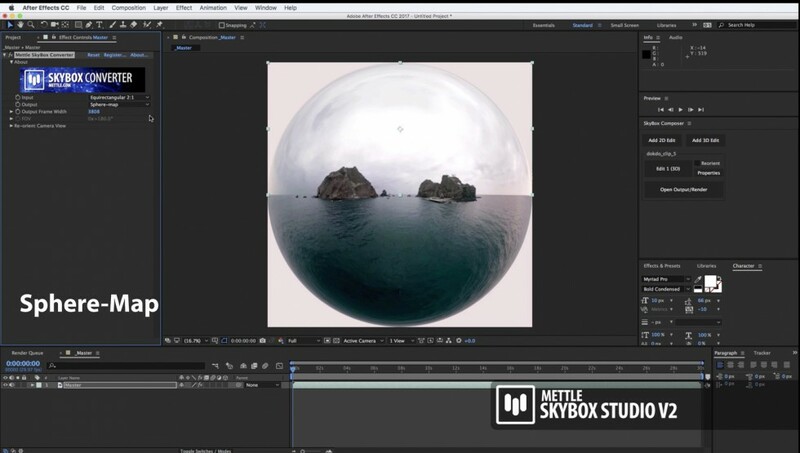 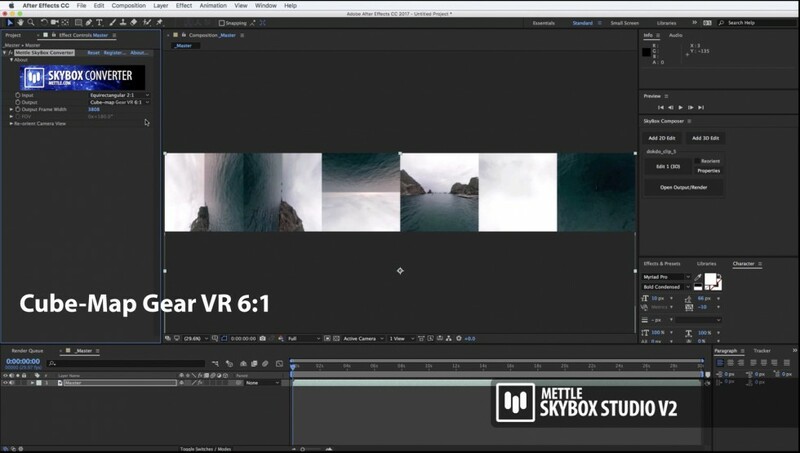 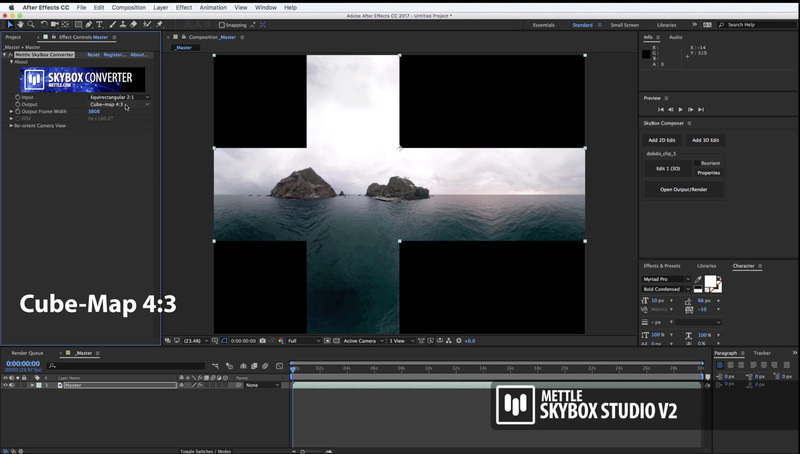 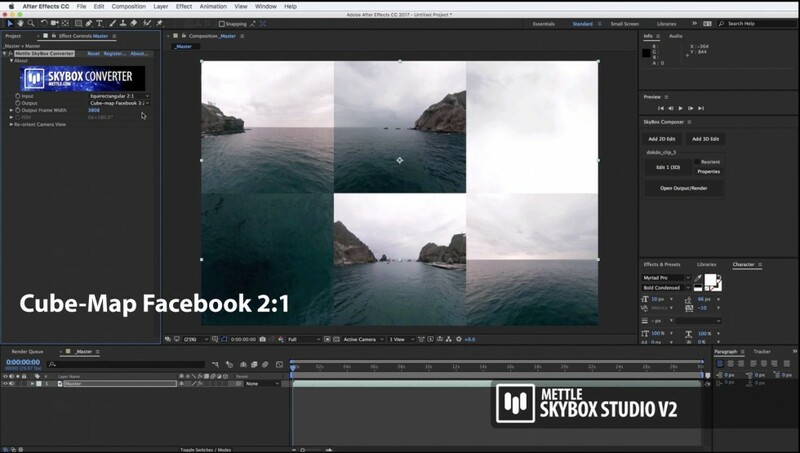 Chris Bobotis (Co-Founder, mettle.com) shows new 360° output formats supported in SkyBox Studio Version 2: Fisheye (FullDome), Cube Map Facebook 3:2, Cube Map Pano 2VR 3:2, Cube Map GearVR 6:1, Equirectangular 16:9. 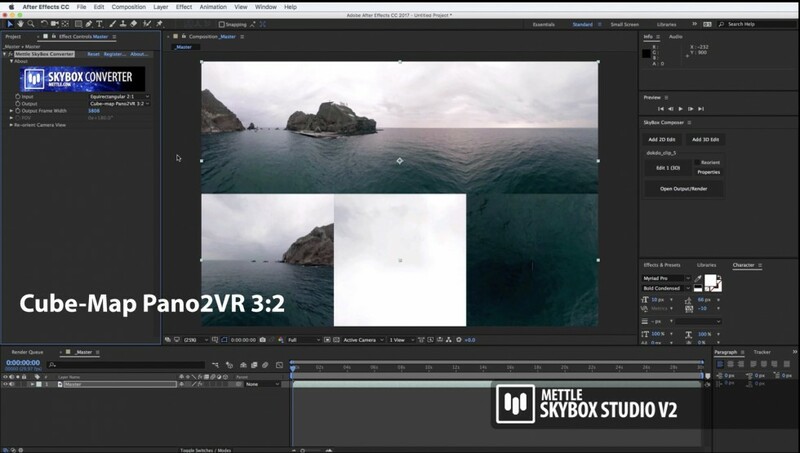 As well as Cube Map 4:3, Sphere Map, Equirectangular 2:1. 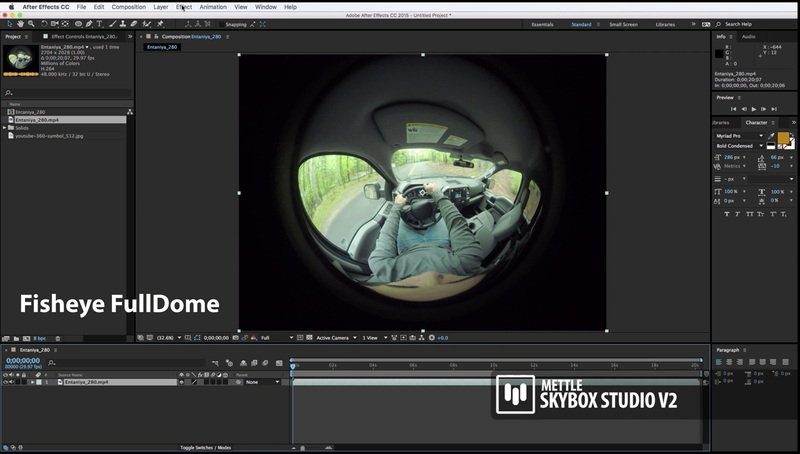 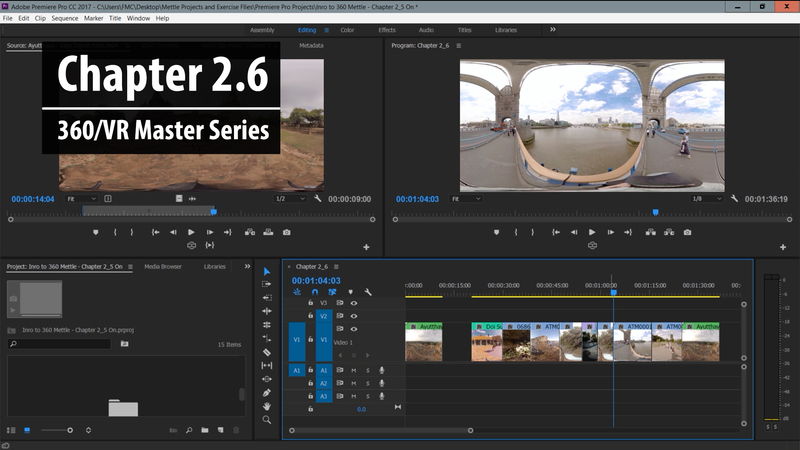 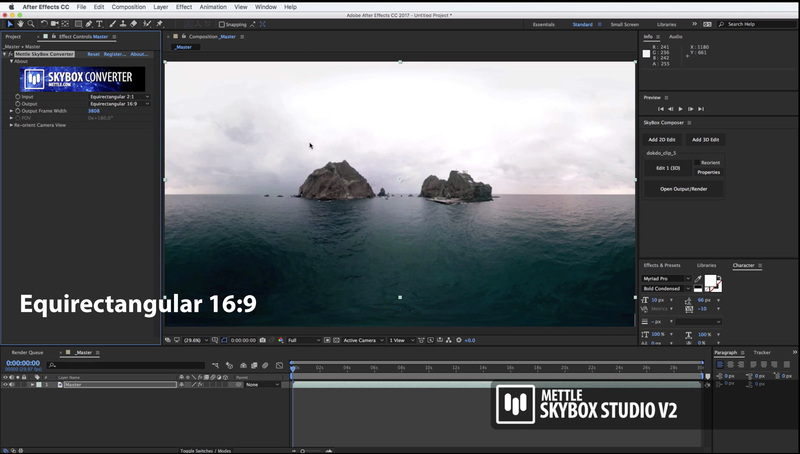 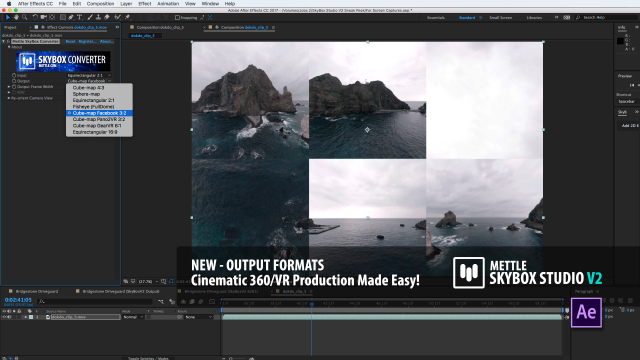 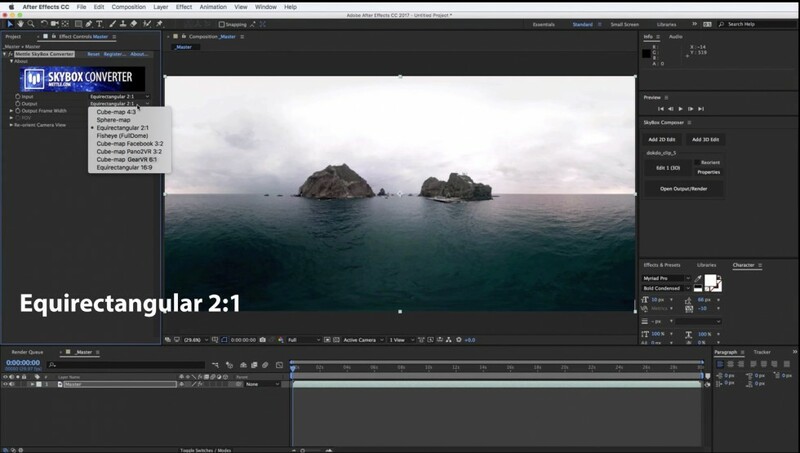 There are many new feature additions and improvements in SkyBox Studio V2, our 360/VR production tools for Adobe After Effects. 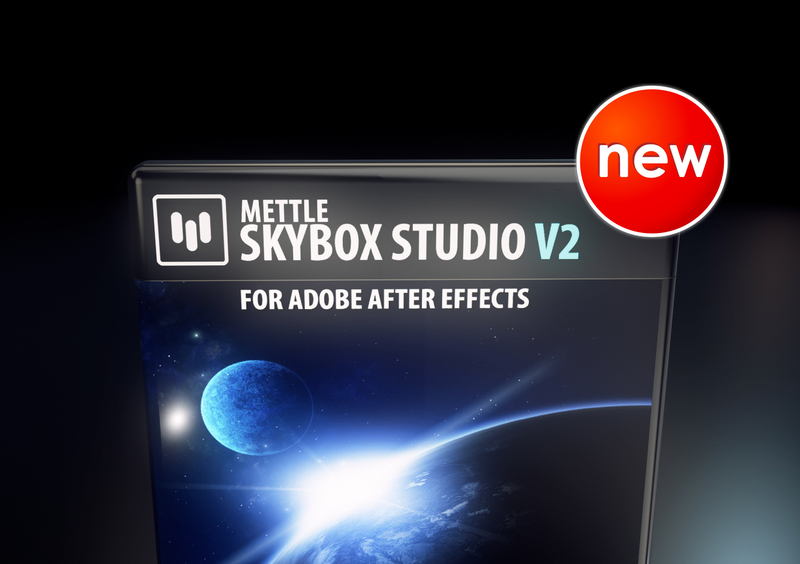 Make your purchase of SkyBox Studio V1 now, and qualify for a free upgrade to Version 2.